This post, CTC Math: Your Core Curriculum or Supplementation Solution, was made possible with the chance to review the 12 Month Family Plan from CTC Math as part of the Schoolhouse Review Crew. Have you ever gone to a homeschool support group meeting where at least one parent is seeking help for math? Or, maybe you’ve been in an online chat room or forum where they are lamenting the need to put their child into the local school as upper level math seemed to be beyond their capabilities? I’ve experienced this every year since we began homeschool in 2006. Thankfully, there are options to allow even a math phobic parent to guide their child through even the high school years without breaking a terrible sweat. In the interest of full disclosure, I should share that I have advanced science degrees which meant 10 hours of calculus in college. I used to enjoy doing problems for fun. After all, playing with numbers can be enjoyable. While I do not quiver in my boots thinking about math, I recognize that there are times when my boys need someone else to offer an explanation. Those are the times when I’ve tried explaining a concept multiple ways and still get a blank stare from said child. I also recognize that they are more likely to do their work if they can use the computer with instant feedback compared to a math worksheet that needs me to grade it. Grading isn’t difficult, but I don’t do it instantaneously or even within a few hours. CTC Math meets both of those needs for our family and others like us. 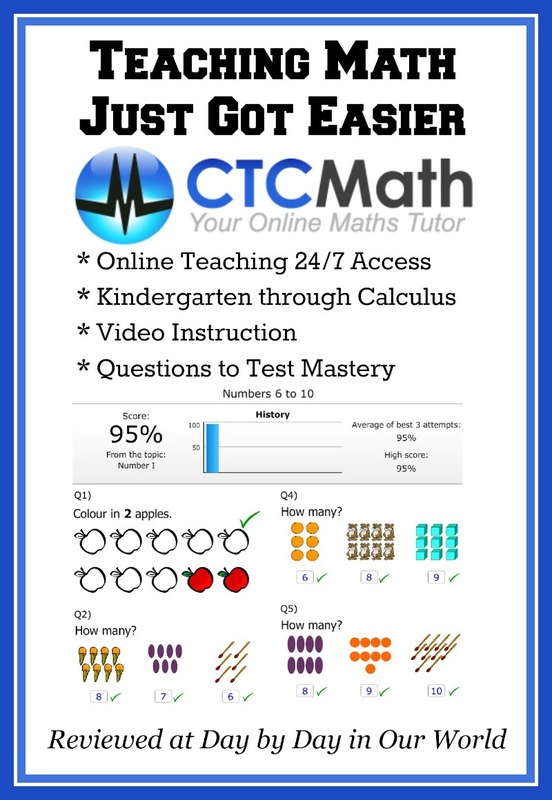 CTC Math is an online, subscription service that is best accessed on a computer. Math from the kindergarten level through high school calculus is offered. Each parent gets an account where they can easily manage their student or students. A 12 month family plan like we received for review is $118.80 for homeschoolers and allows you to have up to 10 student accounts on one family plan. When a student logs into their account, they first go to the appropriate course (e.g. 5th grade or Algebra I, etc.) and then find the topic they need for that session. If you are using it as a core curriculum, then the child would progress in order. However, if you are using CTC math as a supplement to your regular math program, then they need to find the appropriate topic where they need the extra help. 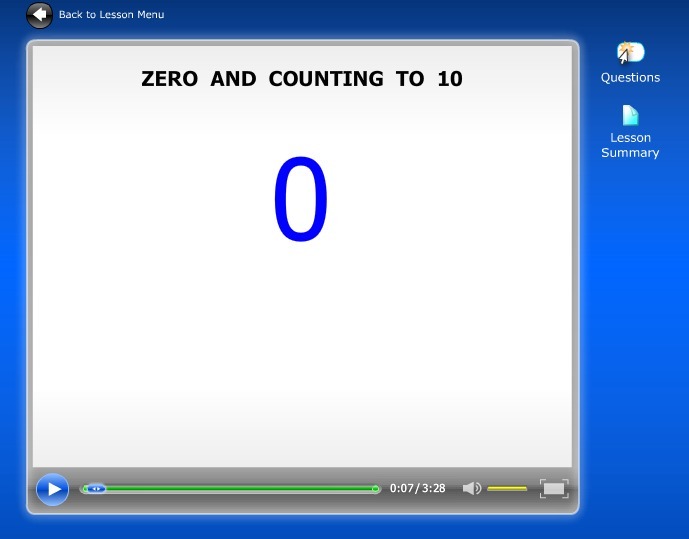 After clicking on the topic, the student will be taken to a screen where you first watch a video explaining the topic. Then on the right hand side of the viewing screen, they can find a lesson summary (nice if you have a student that wants to read the lesson instead of just watching the video) and questions to be answered. The parent can determine what percentage of correct responses is needed to be considered mastery level. Going back to the lesson menu shows them what they’ve completed for the particular topic and how they did. Parents can see something less colorful on the parent dashboard for each student, too. Last year the boys spent some time using CTC Math for a review period. While they enjoyed it, summertime meant outdoor adventures and travel with little thought to math. Yet, it is math which needs to be kept fresh on the mind. So this homeschool mama was tickled pink with the opportunity to have the boys review CTC Math again. My approach to how CTC Math is used in our home varies based on the child. With my youngest son, I allow him to work on it while sitting where I can see. Late afternoon during dinner prep works out beautifully as our home has a great room set up. This means I am just a few steps away if he has a question. This year he is mostly using my touch screen laptop, but will occasionally access CTC Math through the iPad. My older boys are typically on the honor system to use part of their computer time to log into the program and spend time working through a module. This freedom does not mean I can just ignore them completely as I’ve learned competing computer activities (e.g. videos and games) can draw them away from the task at hand. If I don’t check daily on my dashboard, I’m still covered as CTC Math emails me a weekly summary report of ALL activity broken down by student. Actual lessons can vary in how long it takes. My one son who’s more gifted in math prefers to read the lesson summary and just skip through to essential portions of the video before beginning the questions. It works for him right now as he is ‘reviewing’ concepts already learned and reduces the time down to about 15 minutes to get everything done. Some of the other boys do watch the entire video lesson before doing the questions which typically allows them to meet the passing rate of 90% easily. Even with that, I’ve yet to have a child need more than 30 minutes to do a lesson. 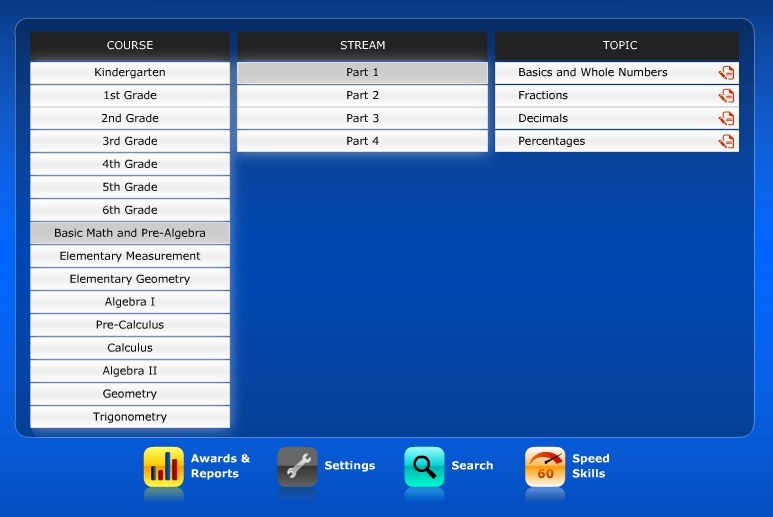 Something I’ve noticed this time around is how complete this online learning platform is for each level of math. That has me considering using it less as a supplement and more as a core curriculum. CTC Math tracks their grades and I can have the boys save pdf files of their work when they do it for documentation. A bonus side effect of making this switch will be gained sanity for me as there are no ‘lost’ assignments and less clutter in the house! Either way you use it, CTC Math is a great way to bring a skilled math instructor into the home. This time I plan to work it into our entire year so there isn’t a backslide. We can only do well what we practice, so math should be a year long learning adventure. Even my son who has officially graduated from high school sees the benefit of refreshing his math skills in anticipation of college level calculus. As CTC Math covers high school calculus, he should be good to go. What types of struggles or concerns do you have regarding learning or teaching math? 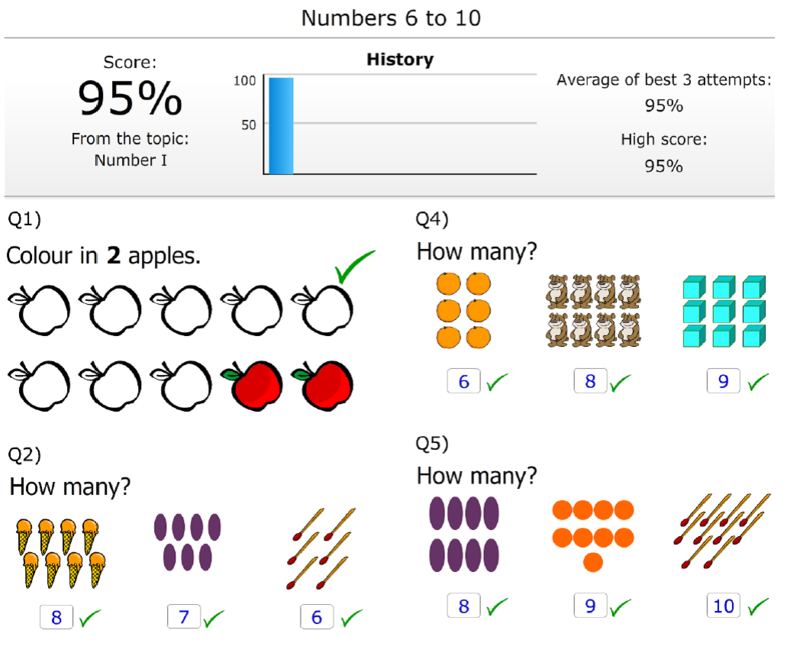 Have you used online learning solutions to help a child learn the basics and be successful? Don’t just take my word for how we found this to be. Visit the CTC Math Review post on the Schoolhouse Review Crew website to see what other homeschooling parents thought about this and other self-paced courses.